During the time of our moms or grandmoms, cloth diapers seem to be very simple – a piece of large cloth and two pieces of safety pins to put the cloth together. 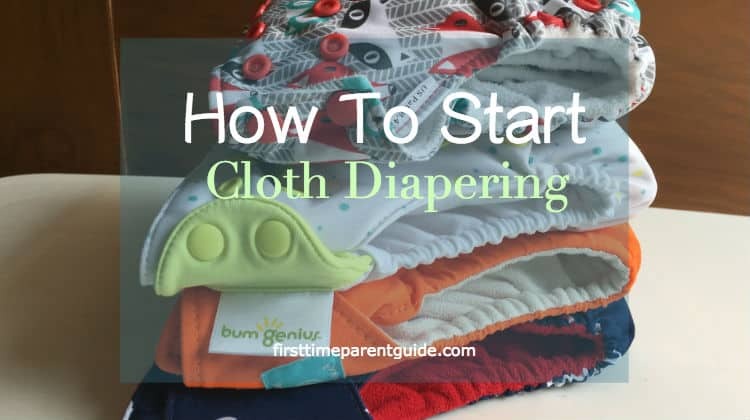 To help you get started with modern cloth diapers, here are some of the terminologies that you can add to your mom-dictionary as you venture on this ordeal that all parents cannot avoid – How To Start Cloth Diapering! It is the most commonly known cloth diaper of all times. It started so long time ago that you can refer to it as an “ancient” form of cloth diapering, LOL. Flats are literal in a way that it is a piece of flat fabric, folded differently to fit babies of different sizes. A safety pin is usually the most common form keeping it secure. Several types of modern clips and fasteners are used to keep flats securely fastened. If you are going to choose the flats, expect to acquire more pieces because it has the poorest absorbency of all the other types of cloth diapers and the changing frequency would, therefore, be more often. Also, do expect a lot of folding and ironing, in some cases. On the bright side, it probably is the most breathable of all cloth diapers and the drying time can be faster than the rest of the types. It is also the cheapest to acquire. Acquire at least 16 pieces to give it a try. For long-term cloth diaper users, I advise exploring other types such as pocket diapers, all-in-two diapers, and all-in-one diapers. Why Would You Choose Flats? Different people’s lifestyle = different choices. You decide flats when you are probably looking for the most affordable option. Acquiring other types of cloth diapers require a HUGE amount of upfront cost and therefore is not ideal for those who cannot shell out that big amount in one shot. People who choose flats should be okay with changing nappies 2x more often than those who would choose a more absorbent option. You are probably not planning to cloth diaper long-term and would just want to take a break from disposables every now and then. Prefolds are like flats except that they are made up of a more absorbent type of cloth. Prefolds come in sizes. Depending on the brand, some prefolds are bleached while some are unbleached and organic making it safer for babies’ delicate skin. To use a prefold, it usually requires a safety pin or any other type of modern clips, too, to keep the cloth securely fastened. Some parents like me put it in pocket diapers or all-in-two covers instead of using the usual pins and clips. If you are going to choose prefolds, expect to acquire lesser pieces than you would have gotten with flats. It is also more absorbent than flats. Therefore, you can expect to wait a little longer before changing nappies. However, the drying time would be slower compared to flats. It is because prefolds come in thicker materials to provide more absorbency than flats. When starting out, acquire at least 24 pieces to last for 2-3 days. Acquire more as needed, or switch to other types of diapers should the absorbency of the prefolds do not meet your expectations. Why Would You Choose Prefolds? Prefolds are more absorbent than flats and are far cheaper to acquire than the other types of cloth diapers (except flats). You decide prefolds when you are planning to cloth diaper longer than you would wish you can before you encounter absorbency issues with heavy wetters. Prefolds upfront cost is not very difficult to shell out and is, therefore, ideal for those who are on a tight budget. When you choose prefolds, you should keep in mind that after your child’s first birthday, you may encounter leaking issues due to your baby wetting more than usual. You will also need to change more often and therefore require more pieces if you are going prefolds all the way. Don’t expect prefolds to keep your baby dry overnight. You cannot also expect to bring your child out of the house for extended hours wearing a prefolds. If prefolds is your cup of tea, be prepared to acquire another type of diaper to use overnight and out of the house to eliminate surprises. All-in-two diapers come in two pieces. The cover is usually made up of a wipeable material. Some brands’ cover have two buttons on both ends. When paired with an insert from the same brand, covers with buttons would usually match perfectly to inserts with buttons. The buttons would ensure that the inserts are kept in place no matter what. Some all-in-two covers don’t have buttons. It is, therefore, more inconvenient for the baby when the soaked inserts crumple to the center when wet – or when inserts move a lot when used by a hyperactive toddler. All-In-Two diapers are probably the most flexible type of cloth diaper. You can choose to pair covers and inserts that best meet your expectations. It is likely to be the most economical, too, in the long run. That is because depending on the brand, all in two covers are wipeable and therefore reusable. All you need to do every diaper change is wipe the cover and air-dry it. After which you can reuse it for 2 to 3 times a day until it stinks. Only then you throw it for washing. Also, when you pair it with the best inserts, it can be good to use as overnight diapers, too, and even can be used when going out. If you are going to choose all-in-two diapers, you can start with seven pieces of covers and 18 pieces of inserts. It usually is sold separately so you can customize the combination of covers and inserts. Why Would You Choose An All-In-Two Diaper? You decide to buy an all-in-two diaper if you would like to have the flexibility of choosing the combination of what’s inside and what will keep the wetness intact. For example, if you happen to have both flats and prefolds but would want to use a water-resistant AI2 cover so that your child’s bed will not be wet, you can do that with the AI2 system. As your baby grows and becomes a heavy-wetter, you can choose different types of inserts to answer the absorbency needs of your growing child. Most AI2 covers nowadays are adjustable from XS to XXL. Using the same AI2 cover, you can mix and match different inserts to use for overnight needs as well as for going out so as not to have the need to buy disposables every now and then. Pocket Diapers looks like disposable diapers, except that they are made of cloth. It consists of two parts – the inserts, which looks like a pad and is responsible for absorbing all the wetness, and the cover with pockets, which holds the inserts in place. If you are going to choose pocket diapers, expect to acquire at least 18 pieces. Depending on the brand, expect to use 6-8 pocket diapers a day. As your baby becomes a toddler, expect a heavy-wetter to change pocket diapers every 1-2 hours, therefore, requiring more pieces. Why Would You Choose A Pocket Diaper? You decide to pocket diaper when you want to have the option to keep the inserts inside the pockets or lay them on the cover during your child’s early months. Pocket diapers can function as an all-in-two diaper especially during your baby’s first months when they are not heavy wetters yet. As long as the cover is not yet wet, you can reuse them again and just replace the inserts. You can also use your flats or prefolds and lay them on top of the cover or stuff them inside the pockets should you run out of inserts. The most pocket diapers interior is made up of cloth. Unlike the AI2 cover which is mostly wipeable, you cannot reuse the pocket diaper cover as soon as it is wet. Keep in mind that when you choose a pocket diaper, you are stuck with the quality of the inserts that it comes with. It is usually packaged together upon purchase. Therefore, no matter how much you love the cover, for example, you will just have to deal with the inserts absorbency should it not please you from day 1 and vice versa. As your child grows and becomes an active toddler, it would be highly difficult to change your baby’s diaper in a lying position. Flats, prefolds, and AI2s are best put onto your child in a lying position. 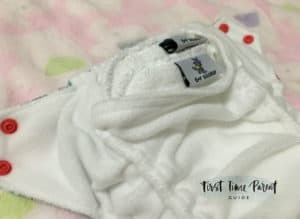 As I see it, the main advantage of using pocket diapers is that it is very easy to put it on a walking toddler since the inserts are ideally securely stuffed inside the pockets. Although some parents probably will master the art of changing nappies to a resistant toddler who refuses to lie down, LOL. Like AI2 and Pocket cloth diapers, AIO cloth diapers come in two pieces except that the inserts are sewn onto the cover. The main advantage of All-In-One cloth diapers is the convenience of using it like how you would usually deal with disposable diapers. You don’t have to select which insert to pair with a cover because the manufacturers have already done it by sewing it onto the cover. Just use it and as soon as it is soaked, just throw it aside until it is washing time. If you are going to choose AIO diapers, expect to acquire at least 24 pieces. It is because all-in-one diapers tend to dry the longest compared to all the other types of the cloth diapers. The “extra” pieces would come in handy while waiting for the rest to dry. Acquire more as this type answer the convenience you are looking for. Why Would You Choose An AIO Diaper? You choose an All-In-One diaper when you don’t want to deal with a lot of folding as you would have to do when you decide flats and prefolds. You also would probably want the type that you can just grab and use, and throw out for washing without having to deal with safety pins, clips, and mix and matching. Bear in mind that because convenience is the main advantage of using an All-In-One system, you should acquire more pieces because as soon as it is wet, you are already discarding it to wait for washing day. Most all-in-one diapers take longer to dry and therefore you should expect to wait more before you can use them again. Compared to the cost of buying pockets and AI2s, the per piece value is not much different. But because you are acquiring more because of the longer drying time, it is probably less economical than pockets and All-In-Twos in the long run. AIOs are not the cheapest to buy. But they provide the convenience that disposables give. They also are healthier to use compared to disposables. Cloth diapers have come a long way. Manufacturers keep on innovating, and some brands even outperform disposable diapers. 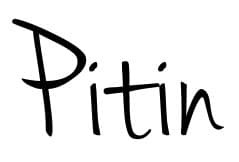 If you have decided that cloth diapering is the way you would want to diaper your baby until potty-trained, then congratulations! You are in store for significant savings in the long run. And if you choose the perfect cloth diaper that would fit your lifestyle, it can be as convenient as you would expect it to be! Ready To Deal With Washing? If you have any question, don’t hesitate to leave them below in the comments section and I will get back to you faster than you dry your cloth diapers, LOL. 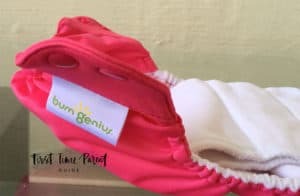 The picture shows BumGenius brand ( which is main one I have seen in common baby stores) as an All in One type but am I correct in thinking BumGenius also sells All in Two styles ? As of writing this comment, Bum Genius only manufactures the All-In-One and Pocket Diaper Types. Though all in one’s are cute, prefolds are my favorite because they never fail. In the beginning I used a snappie but now I just tri fold the prefold and it works great. No leaks like ever! The only prefold I have tried is the Osocozy unbleached prefold. 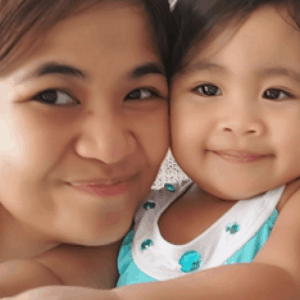 I have tried it too late though, my daughter was already a toddler. So she was already a heavy-wetter. I can imagine it’s more useful for newborns and babies who are not heavy-wetters yet. Whenever I use a prefold inside a waterproof diaper cover, it does its job. But without a cover, it sure will wet our bed, LOL. My sister-in-law used prefolds inside a diaper cover all throughout her children’s cloth diapering years, and she survived. :-p I guess it depends on one’s lifestyle. I have discovered that there are laundry services that will take care of the dirty work. Have you ever used a laundry service to wash your cloth diapers? The cost of availing a cloth diaper laundry service versus doing your laundry at home is way more expensive. Hi, I was just reading a review on the differences between Huggies and Pampers. One very appealing aspect of the All In Two diapers is their reusable component. Not because I want to save on costs but on the minimalist and environmental approaches. Much in the same way a good handkerchief does the job. I would like to see some stylish designs on these pre-folds, I think that would give them an even greater appeal. Thanks for dropping by my site. It’s good to save on diaper cost since you will be spending a lot of money on diapers alone. I like how you compare a cloth diaper to a hanky – it’s a very simple way to explain cloth diapering. About the prefolds having different designs – I think it is not available for prefolds since it is better to use the most basic materials for manufacturing prefolds. They will directly touch your baby’s skin, and unbleached ones are the most ideal. There are bleached ones available, too but they are still safe on baby’s skin. As for the “appeal,” you can put the prefolds inside printed pocket covers. There are different nice designs available on All In Two covers and Pocket Diapers. I don’t think there is a brand that manufactures printed (with designs) prefolds, as far as I know as of the moment.